Poland is getting ready to host the 24th Conference of the Parties to the UNFCCC, the biggest annual event on climate change. It’s the 4th time Poland hosts this summit, this time in Katowice, a city of coal and metal music, located in the heart of the coal region of Silesia. COP24 has the goal of figuring out how to put in practice the measures outline by the Paris Agreement. Like the president of COP24, Michał Kurtyka, said: in Paris the seed was sown, in Katowice the tree must grow. Two months ahead of the start of COP24 (3-14 December 2018), I visited Poland to understand what is happening with the energy transition in a country which is 80% coal dependent on coal for 80%. I asked around what is Poland doing to protect the environment. One journalist said to me: “as much as it’s required to do”. This October, everyone working in the energy sector, and not only them, was waiting to see the national energy strategy, which was in the making for the past three years. Everyone – activists, pundits, and the entire sector – wanted to know the government’s priorities regarding the energy sector and the plan for the decabornization of the economy. Poland relied 100% on coal for its energy in 1990, but recently reached approximately 80% due to the economy’s decline. In 2005, 90% of Poland’s energy mix was still based on coal and now it dropped by 11%. It struggles to be less dependent on coal, mainly because of EU pressure, but the way ahead is not very clear. 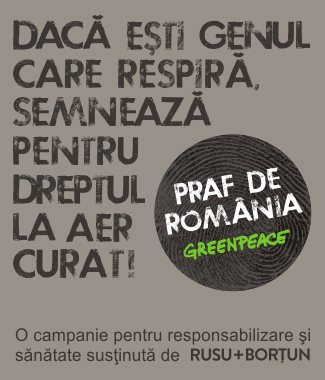 In Bruxelles, Poland and Romania are part of that group of states trying to keep environmental targets as low as possible. Coal dependence dropped because of the economic decline, it was not an effect of some government strategy, because neither the left, nor the right or the center had a strategy until now. No politician wanted to promote decabornization because of fear of losing votes. Instead, the government continued to support the more and more unprofitable mining industry, considering that the price for a tone of carbon rose from 5 to 20 euro. The biggest energy company in Poland, PGE, is paying 1,5 billion euro each year for its 70 million tons of emissions, which is equivalent to the cost of building a new power plant. Moreover, Poland pays a total of 50 billion euro in hidden subsidies to the coal industry. If you replace 80% with 28%, PGE with Complexul Energetic Oltenia, and Poland with Romania, you can get an idea of what is also happening in the Romanian energy sector. And the similarities don’t end here: 70% of the Polish population says that climate change is a serious problem, but they are not willing to change their lifestyle. Unlike Romania, Poland has a big problem with air pollution caused by households that use the cheaper low quality coal for heating. These households are responsible for 50% of the particle pollution, way more than the transport and energy sectors. Around 80% of Poland’s households have heating systems that use this low quality coal. In 2012, to tackle the household pollution problem, Poland began one of its biggest awareness campaign. 30 grassroots movements joined and formed Smog Alert. They had a hard time convincing the authorities and people, but in the end they managed to make 70 regions adopt clean air measures and removed 20.000 heating systems through subsidy schemes for systems based on clean sources. Today there are approximately 4.000 heating boilers left. Andrzej Guła, the coordinator of the Smog Alert campaign in Poland, says it is hard to convince people this heating boilers are harmful for them, even though 19.000 Polish persons dies each year because of air pollution. The campaign relies on a „healthy egoism” approach: if you solve the air pollution problem, you basically solve a personal issue. The Association of Electricity Producers in Poland controls two out of the three brown coal regions in the country. Monica Morawiecka, the president of the Association, says that the energy transition has been going for some years now and everyone is aware that 2030 is the deadline for coal use. Nevertheless, companies are still applying for mining licence. „The public opinnion is more tolerant here to new mining projects than it is in Germany, but it is still a risk we take into account”, says Morawiecka. Currently, there are two coal based power plants and a brown coal facility being built in Poland. In the past three years Poland made small steps towards renewables, bragging they managed to overcome Denmark in terms of wind power capacity. During the Christmas of 2017, Poland had a breakthrough, with 40% of the energy mix sourced from wind power. Poland’s major bet though is on e-mobility. Michał Kurtyka, state secretary in the Ministry of Environment, says that by 2025 the streets of Poland will be filled with 1 million electric vehicles. Bartek Kras, the vicepresident of Green Impact Technology, a Polish company with 150 employees making battery part for Tesla and other big companies, says that the plan „1 million electric vehicles by 2025” is impossible, but that doesn’t mean the future is not green. He says that in 10 years there will be no more diesel based public transportation. If one looks at the cost of using electric buses, in three years it will become 20% cheaper than the conventional ones. Journalists covering the Polish energy sector are not expecting big changes in the energy transition process. Neverthless, they think 50% of the 40 coal power plants now active in Poland will to be taken off the grid by 2035. By 2050, they estimate a 10% coal input in the energy mix. This article was possible thanks to Clean Energy Wire and Forum Energii.